Make 23 litres of hand-crafted Pilsner. Pours gold, with white head. Delicate malt aroma, very clean. 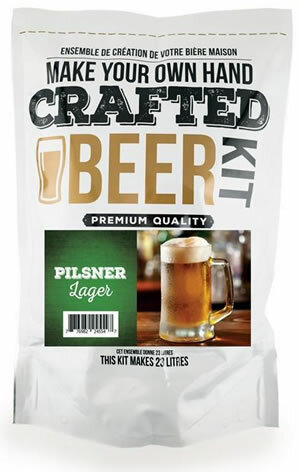 Crafted beer kits also require 1 kg of Beer Kit Enhancer or dextrose. We recommend Beer Kit Enhancer. Makes 23 litres of delicious sparkling pear flavoured cider.